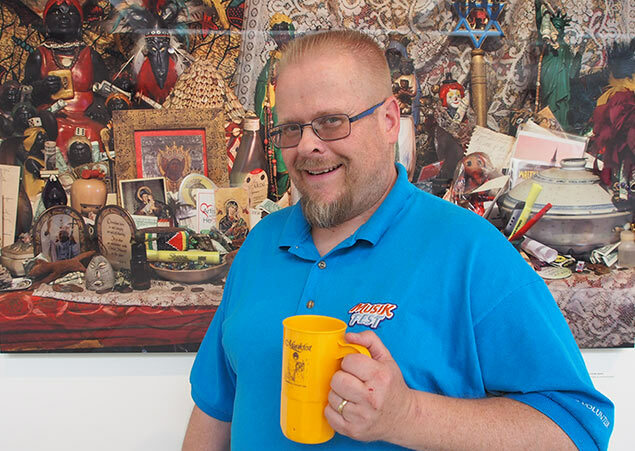 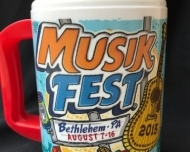 Musikfest Volunteer and Mug collector John Muscler with his favorite Musikfest mug. 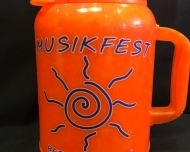 Beer: it’s the ultimate summer beverage, enjoyed at baseball games, backyard barbecues and sunny beaches. 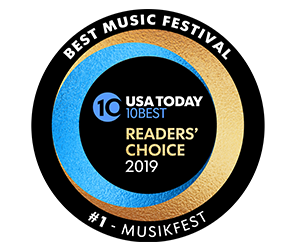 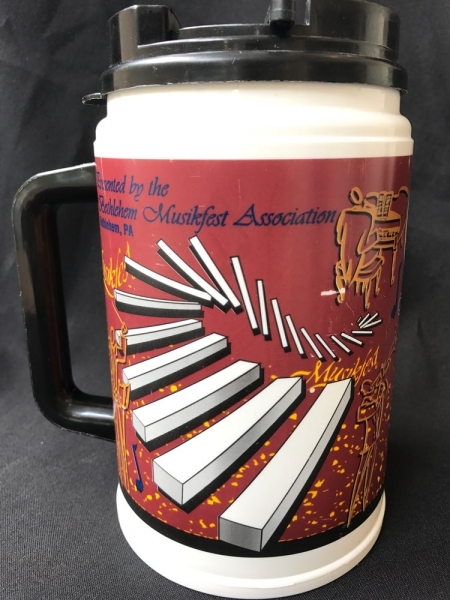 At Musikfest, it’s best paired with a roasted ear of corn while listening to your favorite bands, and of course, served in the iconic Musikfest Mug. 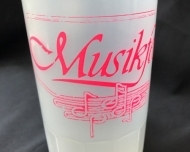 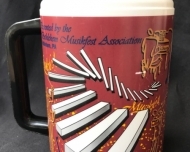 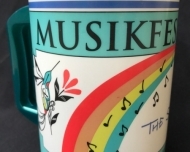 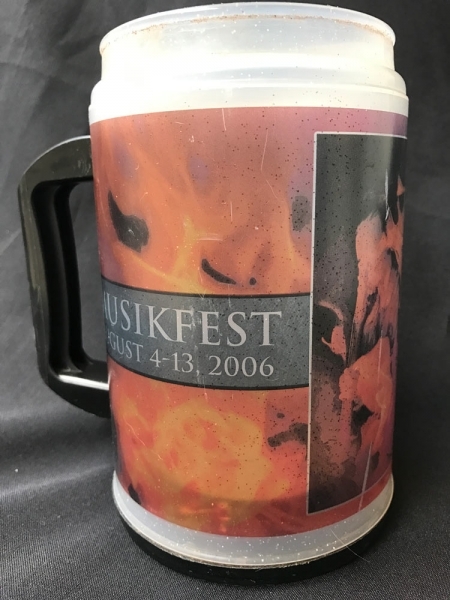 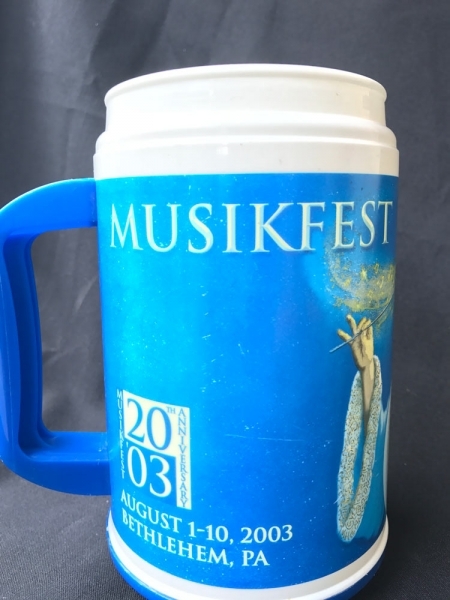 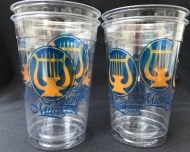 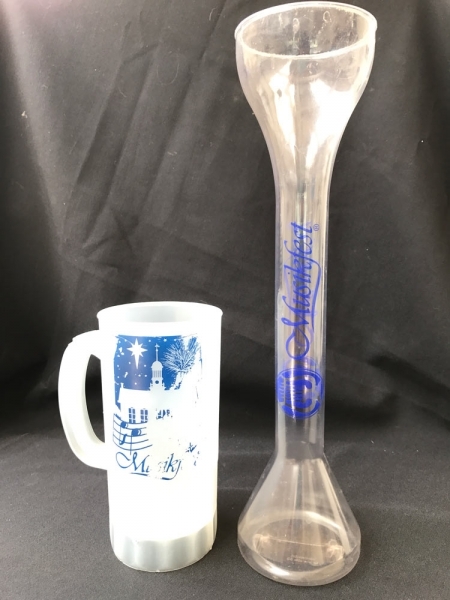 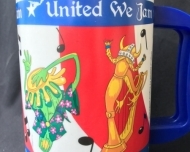 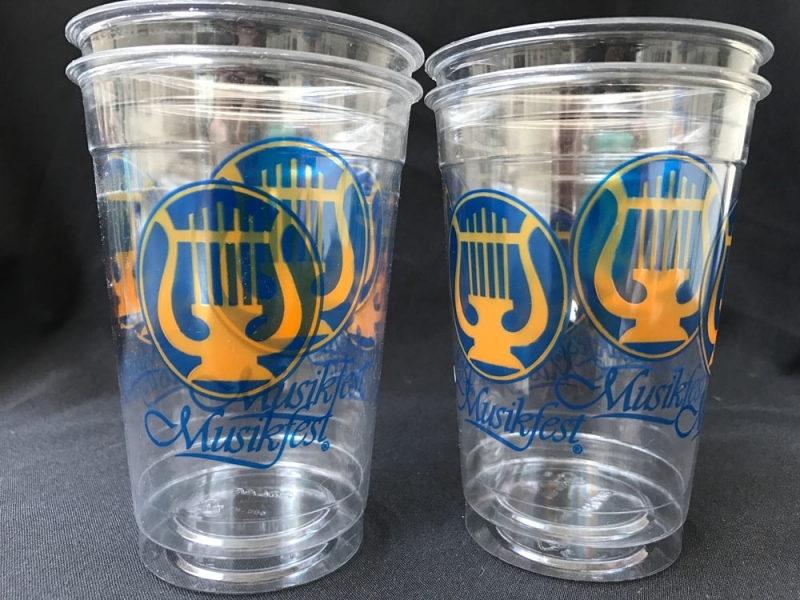 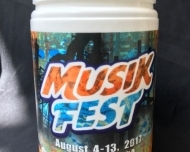 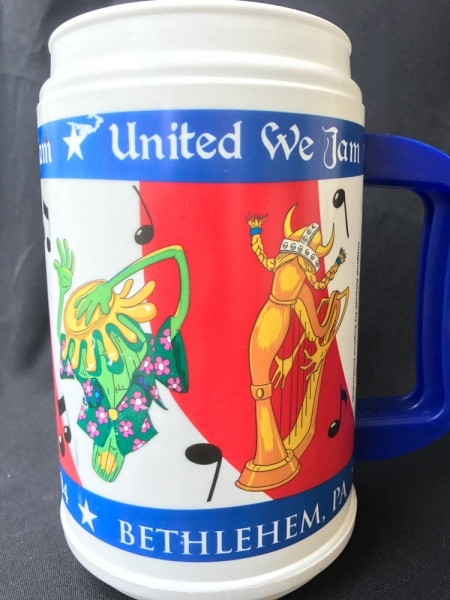 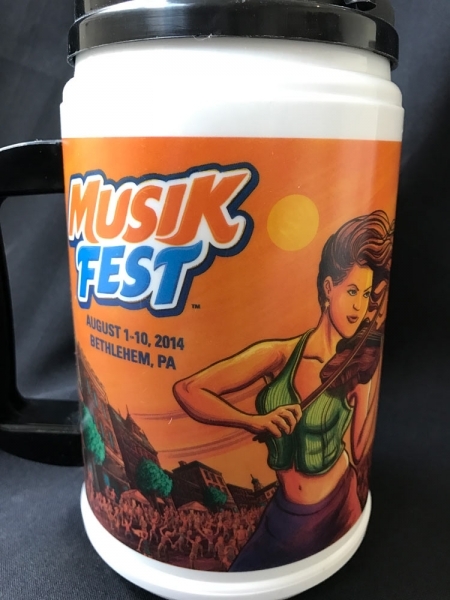 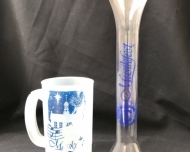 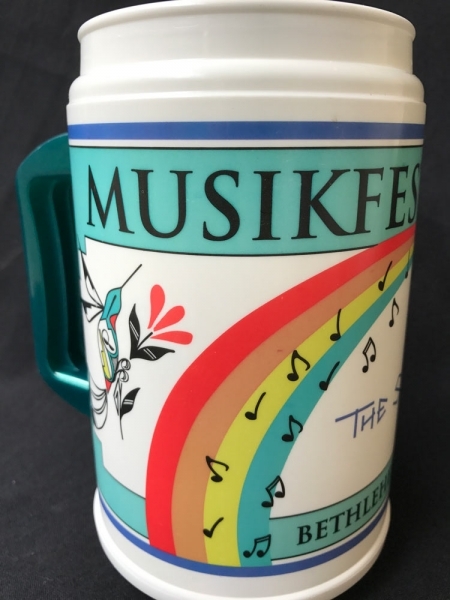 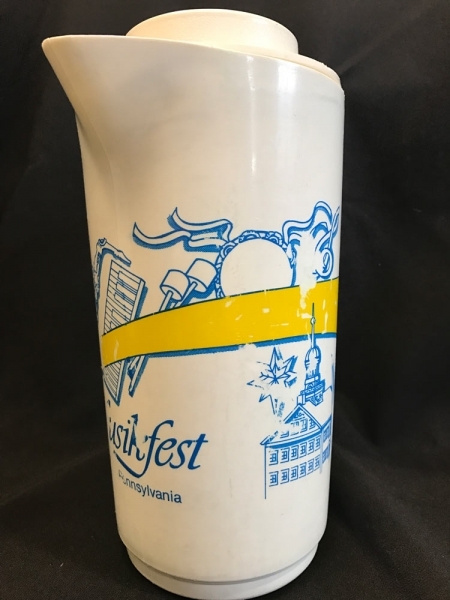 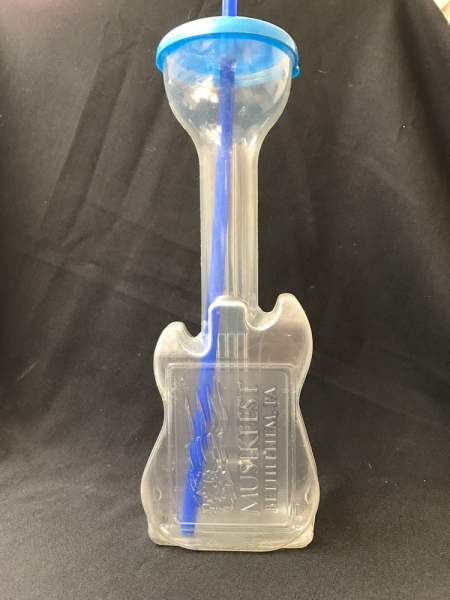 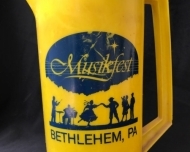 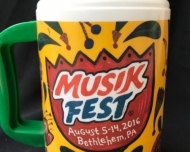 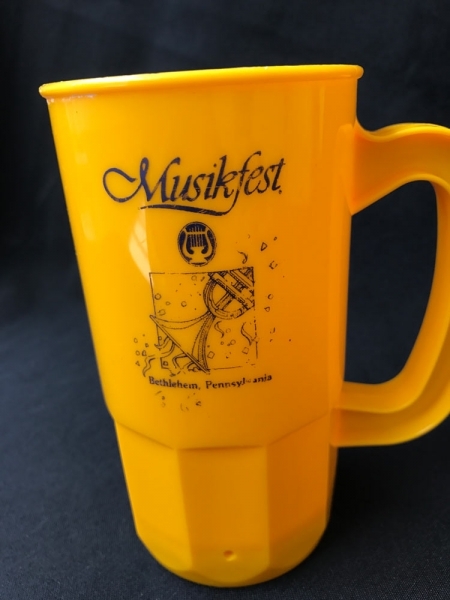 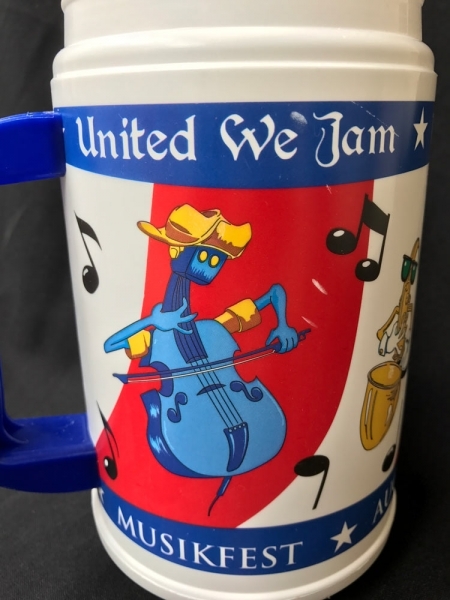 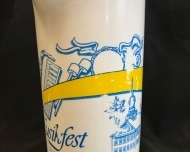 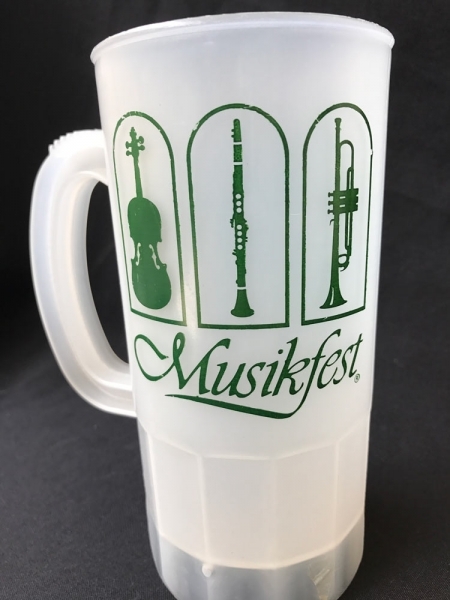 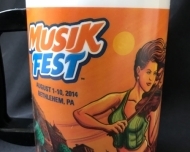 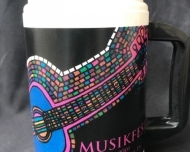 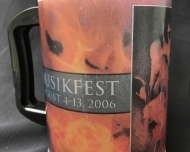 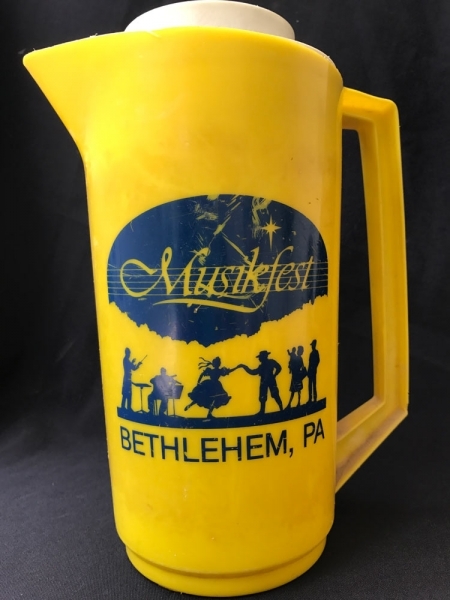 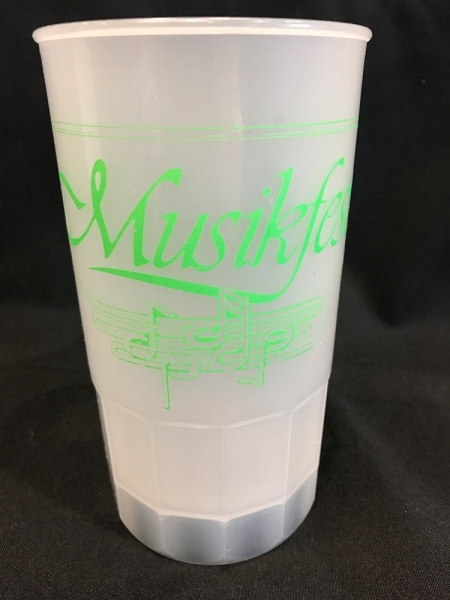 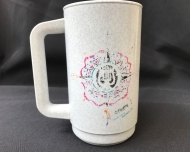 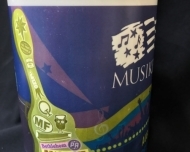 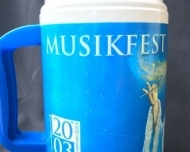 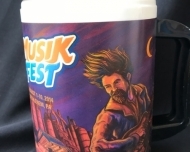 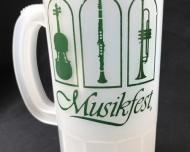 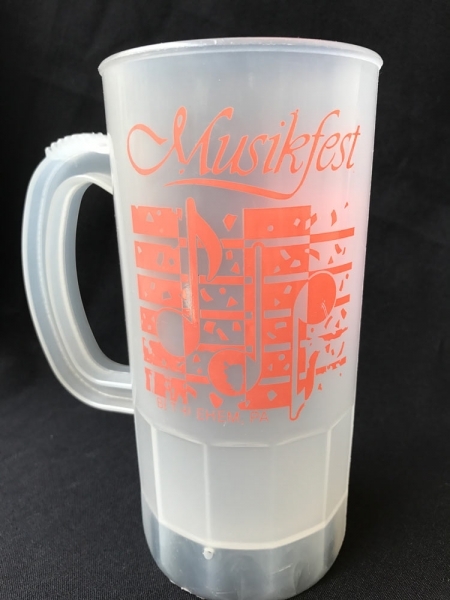 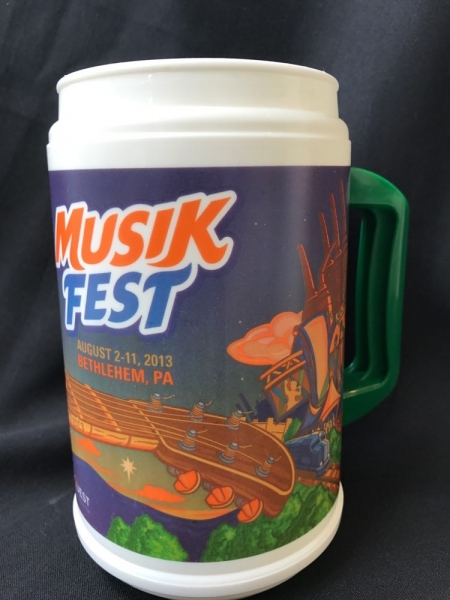 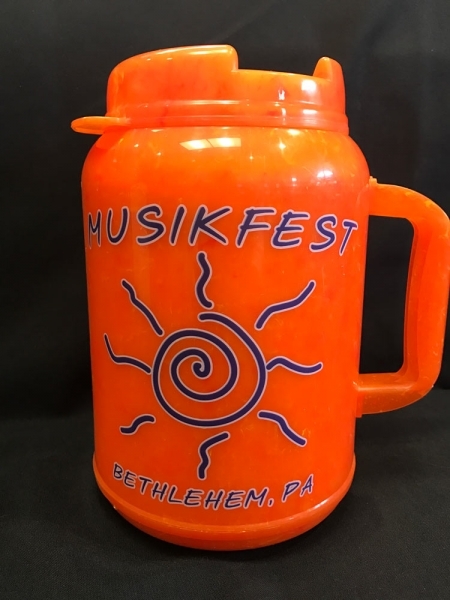 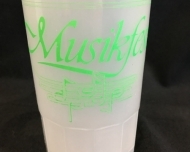 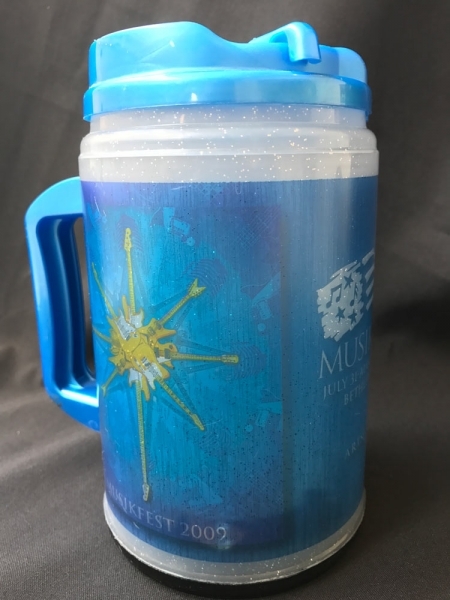 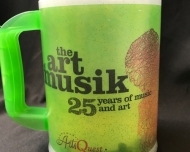 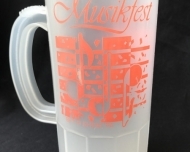 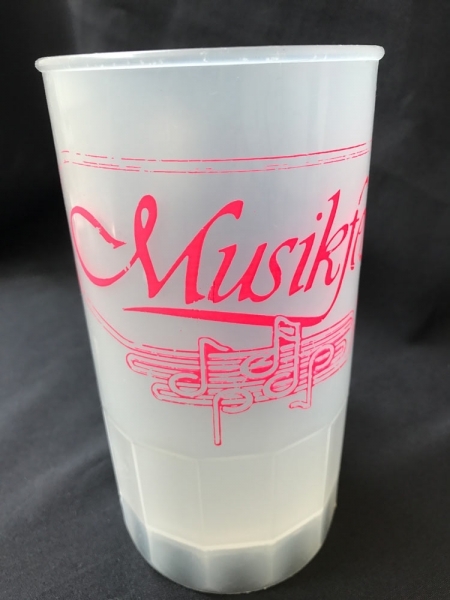 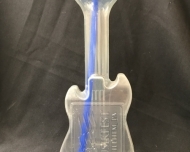 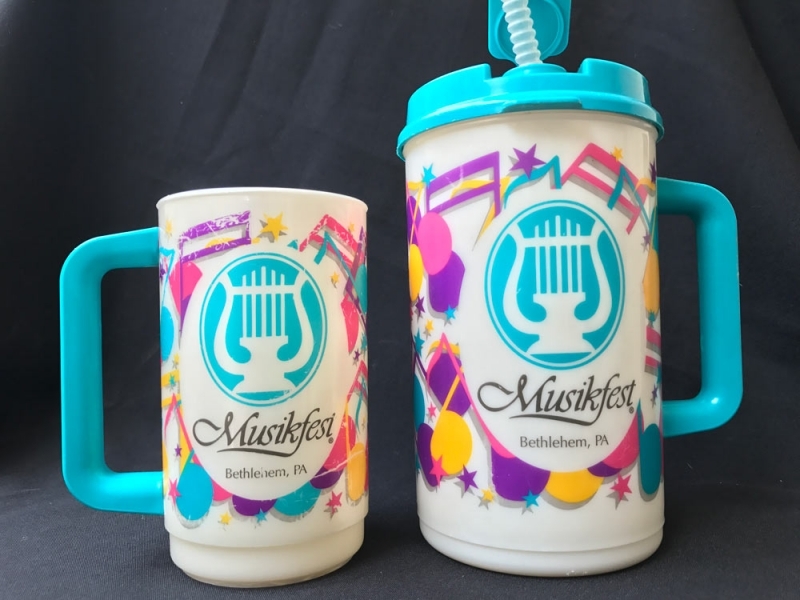 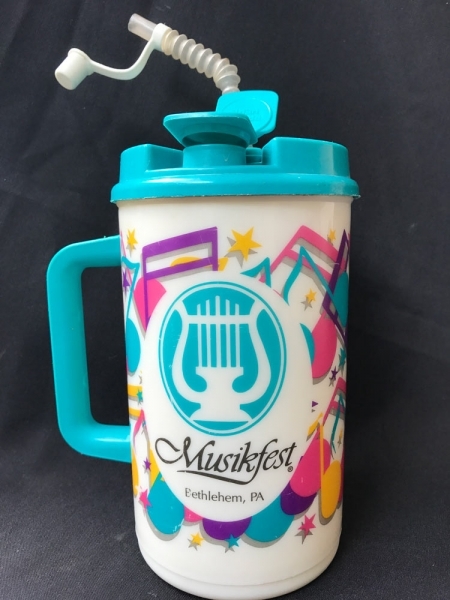 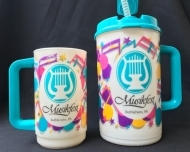 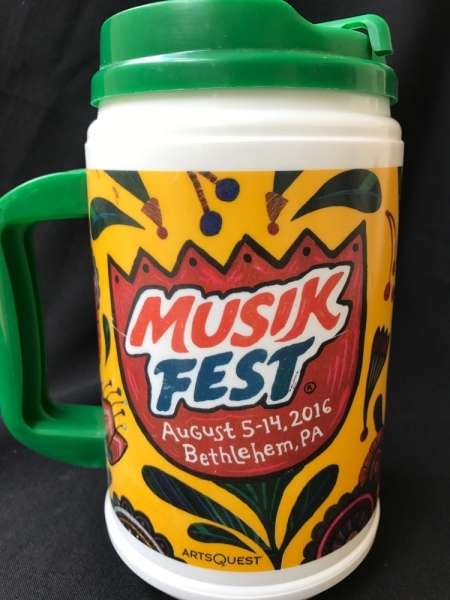 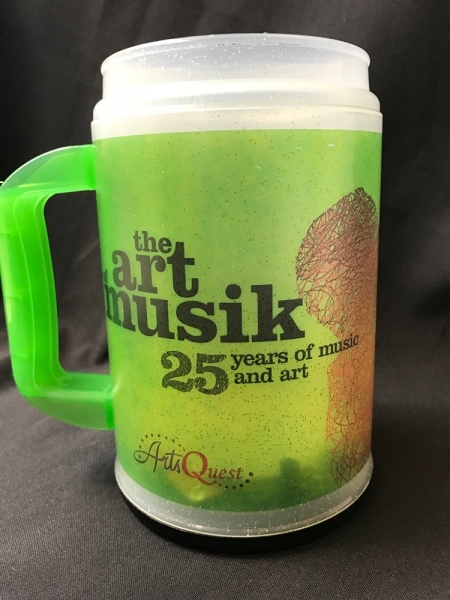 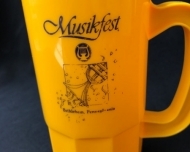 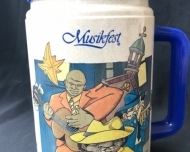 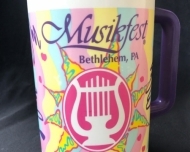 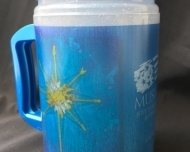 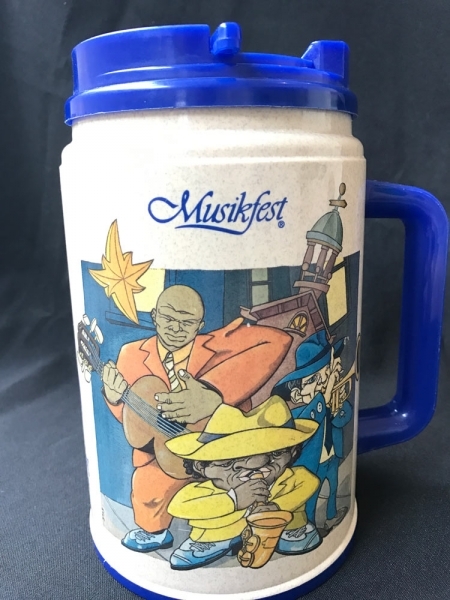 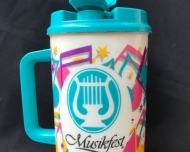 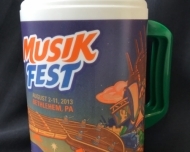 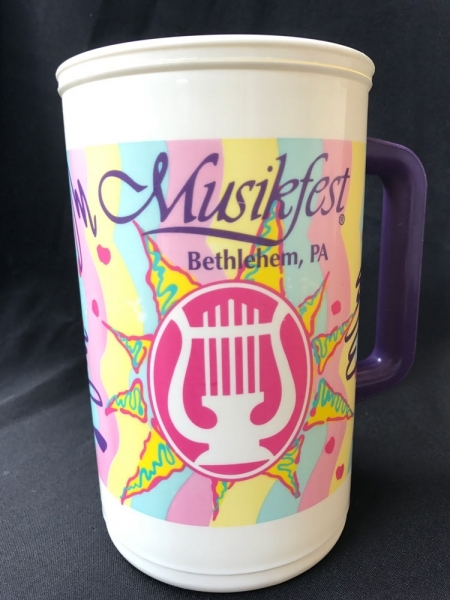 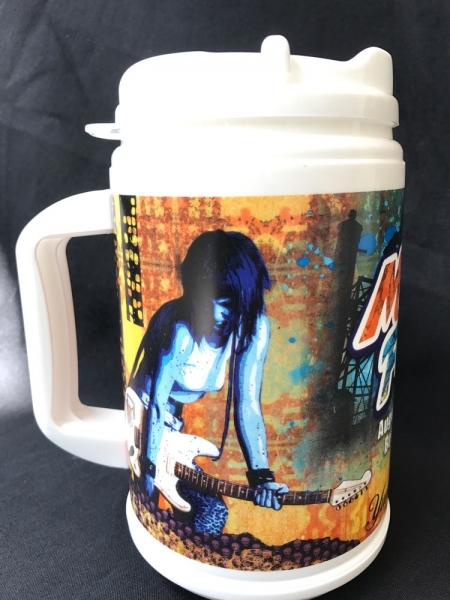 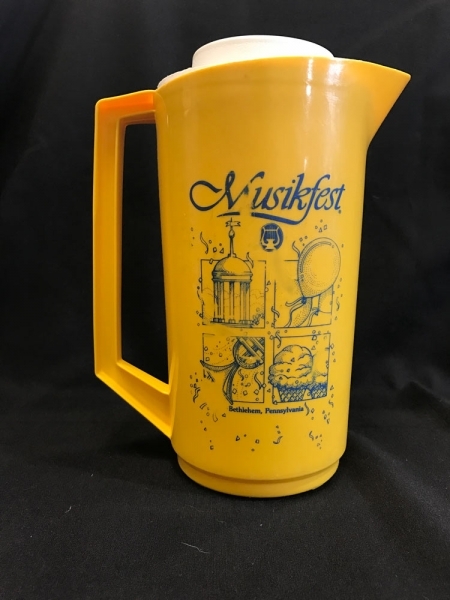 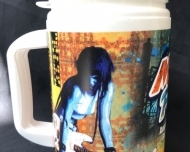 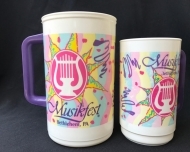 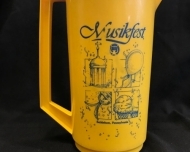 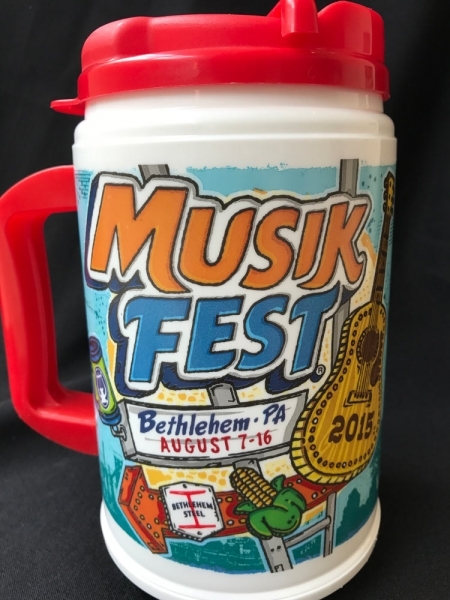 In 1984, the first Musikfest Mug was not a mug at all, but instead a small cup and pitcher. 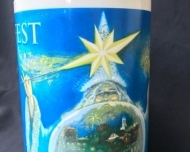 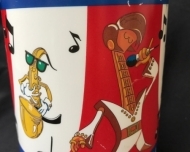 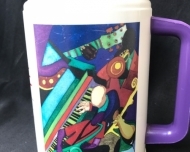 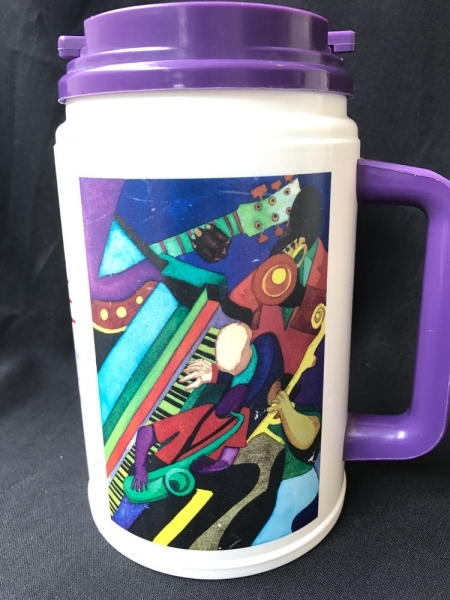 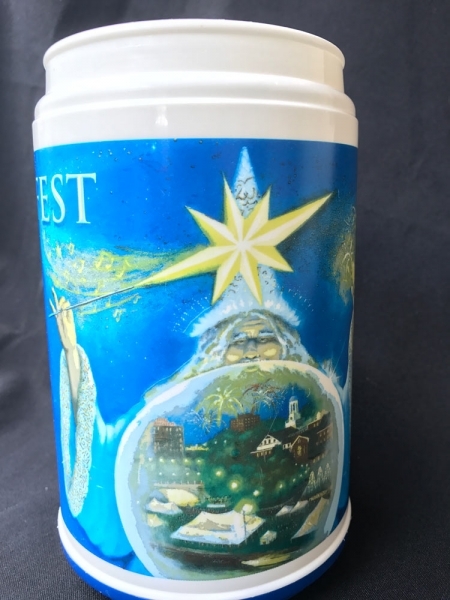 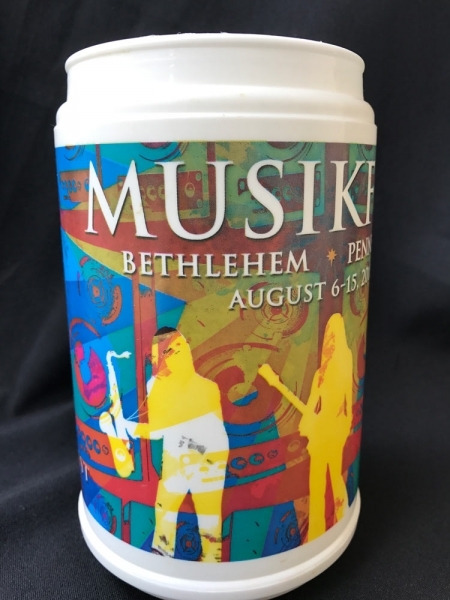 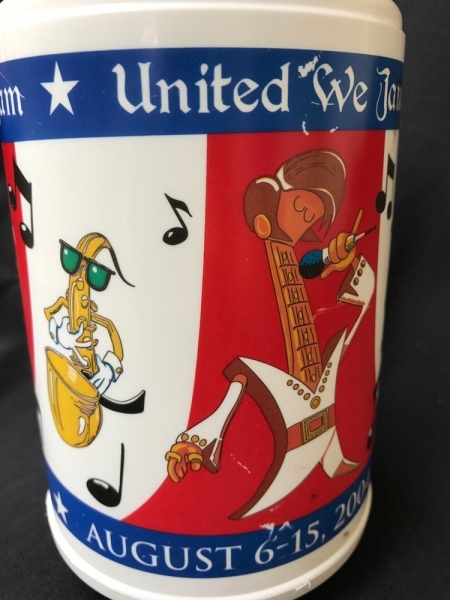 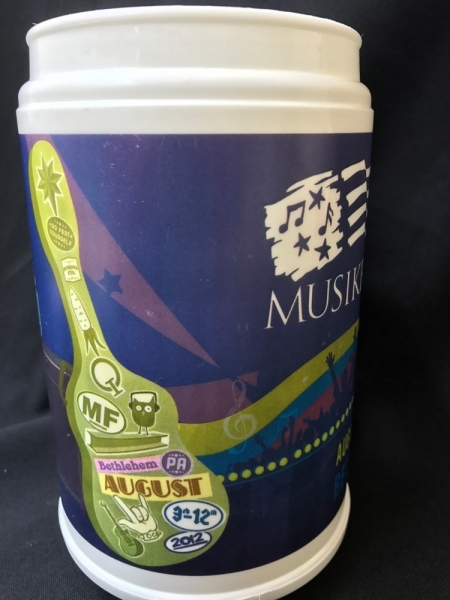 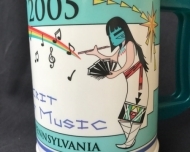 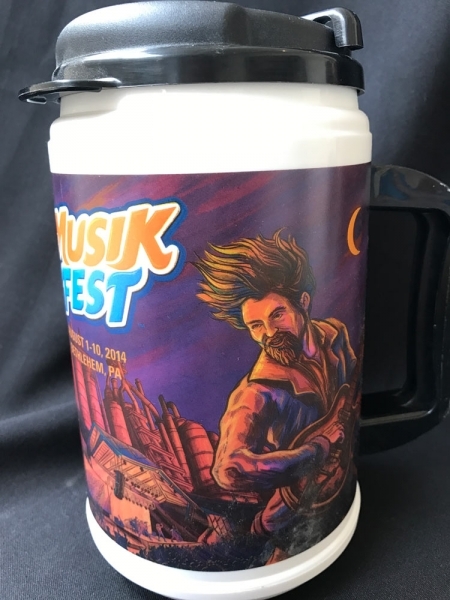 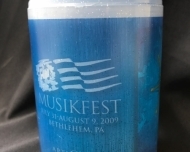 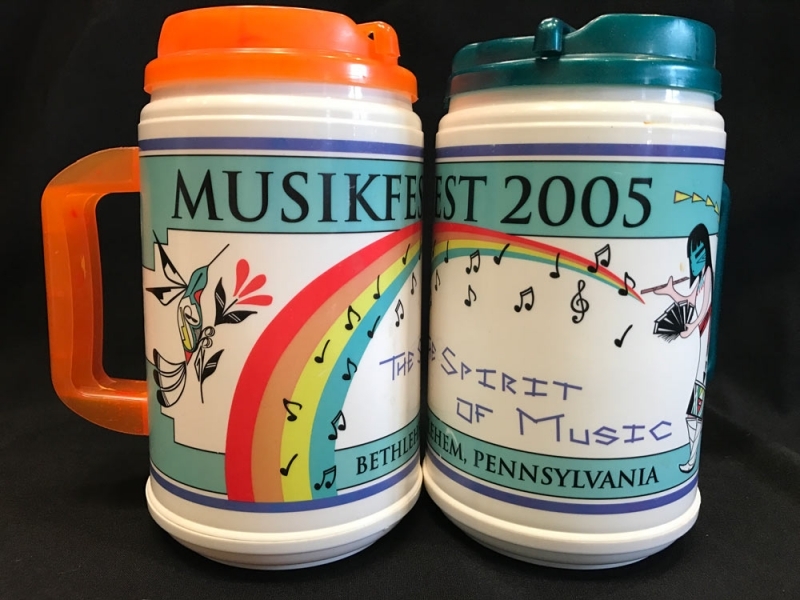 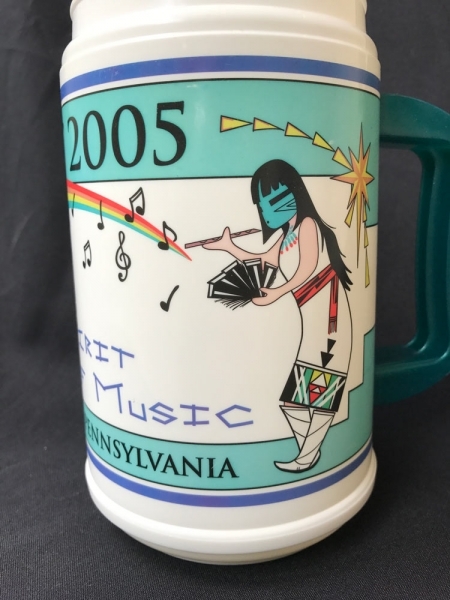 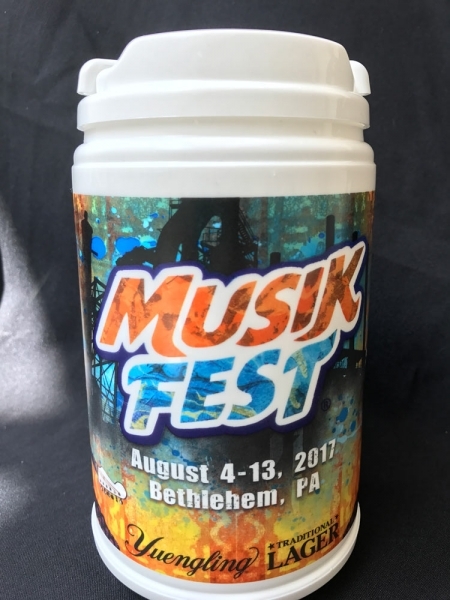 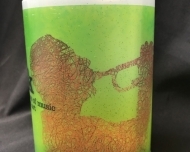 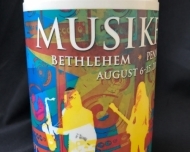 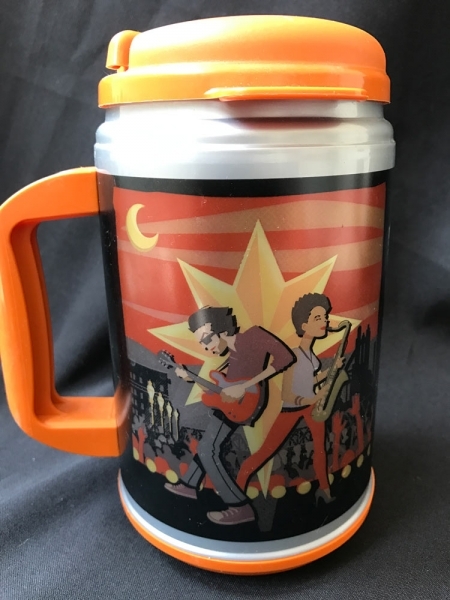 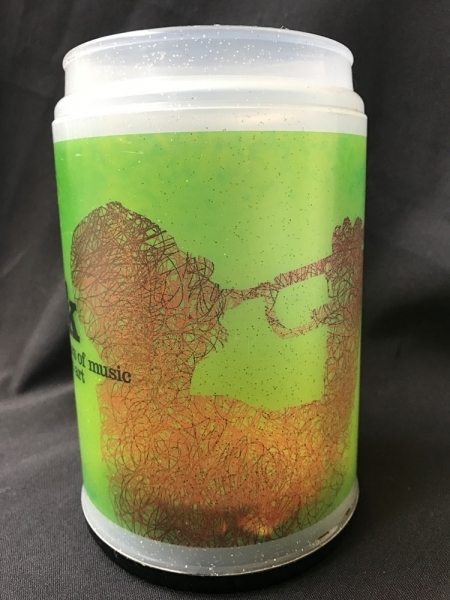 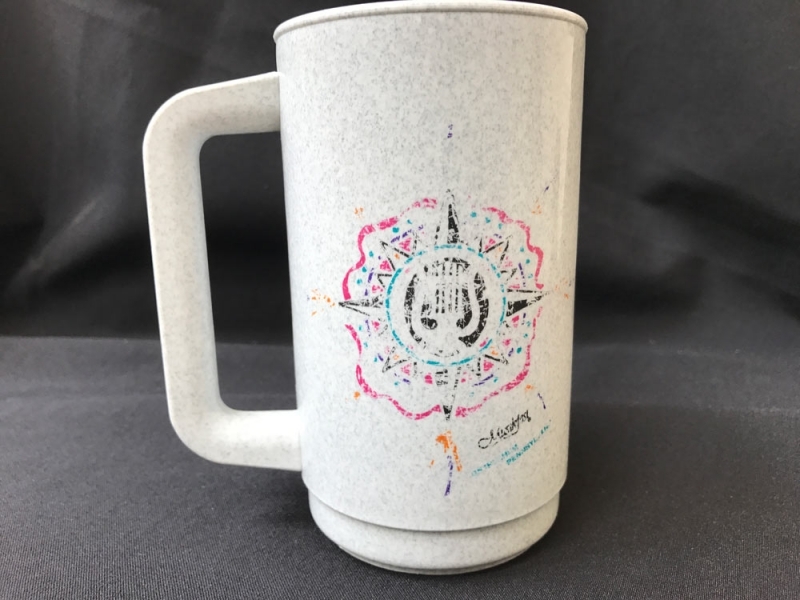 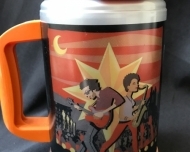 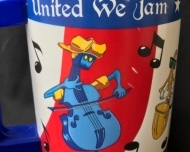 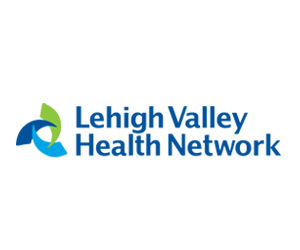 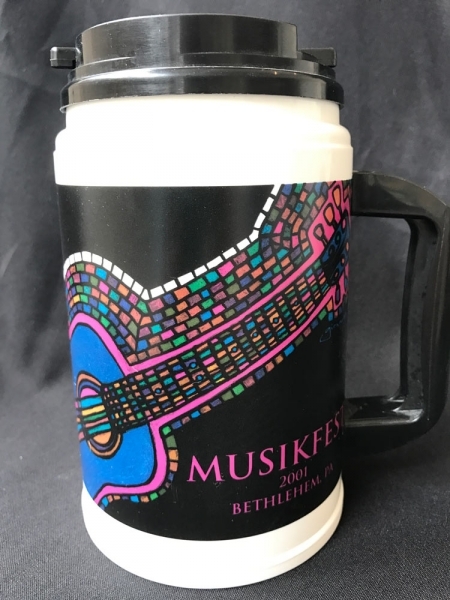 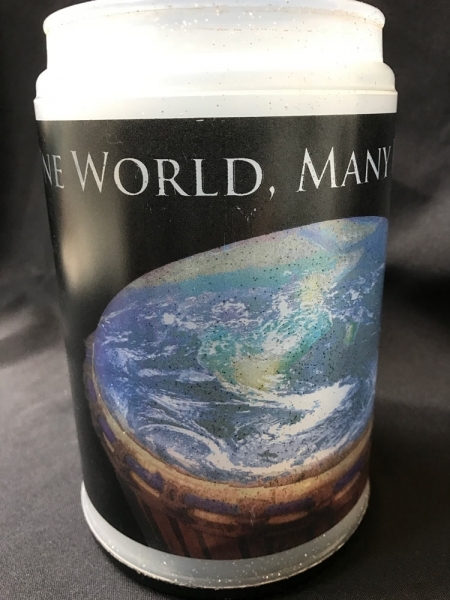 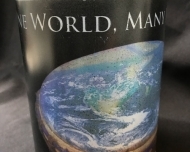 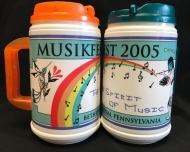 The design evolved over the years to the colorful 24 ounce insulated mug that we recognize today, each year celebrating the spirit of Bethlehem and Musikfest with dynamic artwork. Now in its 34th year, Musikfest attracts roughly 1 million visitors, and you can spot vintage mugs among new ones in every platz. 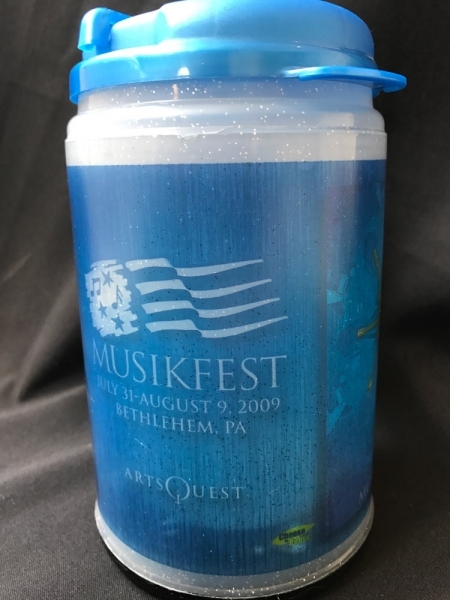 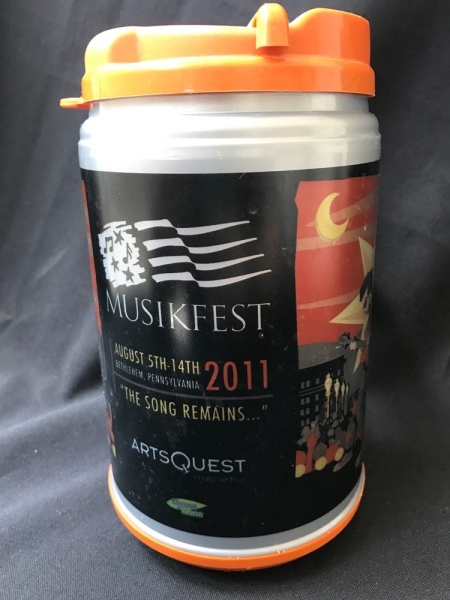 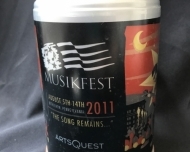 Special thanks to Musikfest Volunteer John Muscler and longtime ArtsQuest Members Eileen and Paul Colahan for their Musikfest Mug collections.